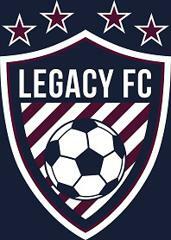 Click HERE to go to our full website: www.LegacyFCTexas.com!!! Legacy FC was established in 2015 as the official competitive arm to Rowlett Youth Soccer Association. Our mission is to provide your soccer players in the Lake Cities area with an affordable avenue into the next level of competitive coaching and player development. Owur focus is to advance individual player development while creating an enjoyable and enriching team environment for both players and parents. If you are interested in learning more about Legacy FC's academy or competitive programs, please contact Rebecca Fitzgerald at txrn2008@yahoo.com or 214-923-1852.